Microsoft Corporation has released the SharePoint Newsfeed app for Windows 8, Windows Phone and iOS devices for the SharePoint 2013 users as well as the SharePoint Online users in Microsoft Office 365. 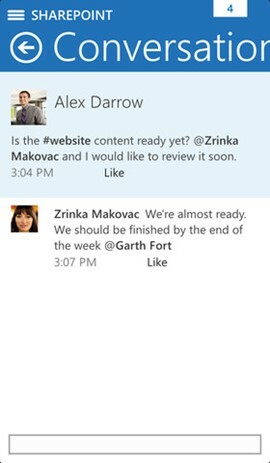 What is Microsoft’s SharePoint Newsfeed App? The app allows the users to interact with their organization’s SharePoint social network from their mobile devices. This allows the users to interact and participate in the SharePoint sites that one follows.